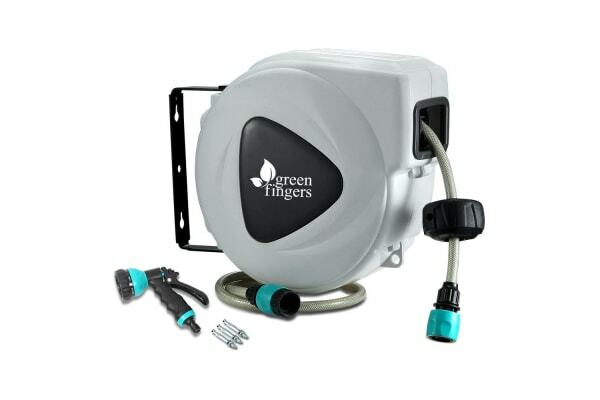 Looking compact and sturdy in a cool grey finish, our 10m Retractable Hose Reel is designed to be wall mounted so that you can use the hose without any encumbrances. 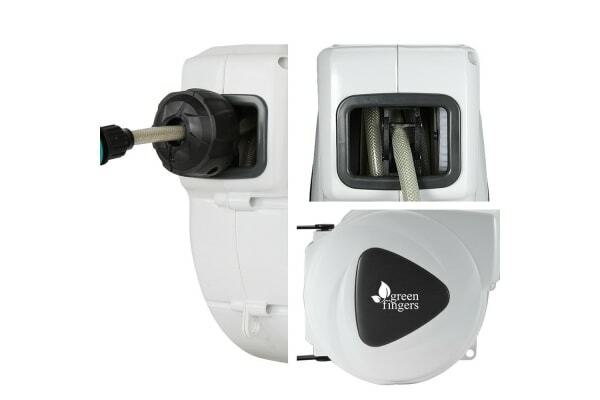 The entire assembly can also be swivelled 180deg for maximum reach. 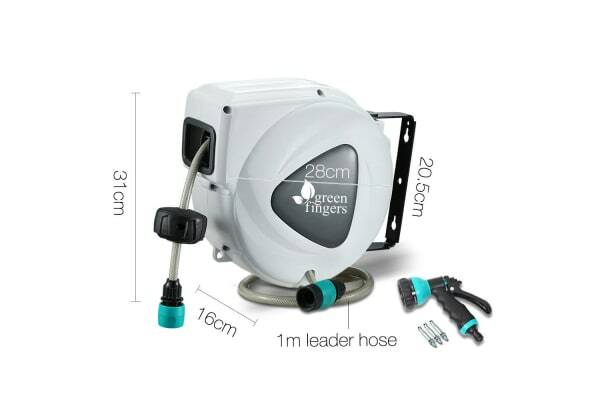 Both the polypropylene housing and PVC hose are UV-resistant to suit Australian climatic conditions which can be quite harsh during summers.